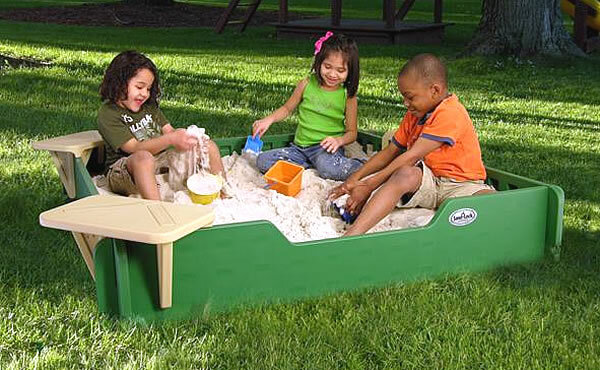 The 5′ x 5′ sandbox from SandLock is the easy sandbox package that you’ve been looking for. It includes the sandbox, a sandbox cover, and two removeable corner seats. Every SandLock model ships by UPS, so you can order online. Each one comes with a 10-year warranty. The sandboxes are made from commercial grade solid plastic with UV stabilizers. Each plank is sturdy yet completely smooth. There are no splinters, and no rusting. The 5′ x 5′ sandbox measures 59″ W x 59″ L x 10″ H. You’ll be impressed by its clean lines and solid construction. The 4 panels have slots cut into them. They slide together easily, overlapping and locking together. The design is child-friendly and fool-proof! Every SandLock sandbox comes with a free sandbox cover. They’re made from Coverlight, a tough, vinyl-coated polyester that’s used for many industrial/commercial applications. It’s strong, lightweight, and resistant to both tears and water. Each sandbox cover has a 5/16″ shock cord sewn into the inside of each corner. When playtime is over, you simply place the two mini-chairs in the middle of the sandbox. Then pull the cover over the sandbox and loop the shock cord under each corner of the sandbox. The chairs create a bump that prevents rainwater from gathering in the middle of the sandbox cover. 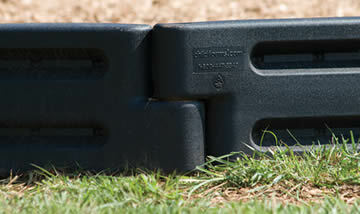 a puncture-resistant ground barrier, & a 10-year limited warranty! 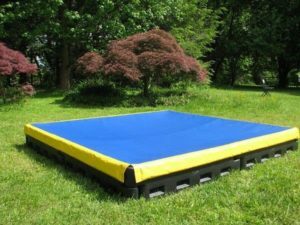 Do you need a Sandbox Cover? 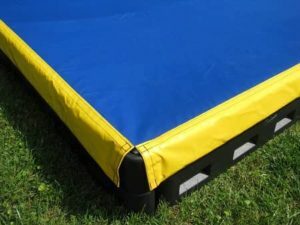 The Weighted Edge Sandbox Cover is very popular with daycares, schools, business owners and even home owners. These covers come in either a sold vinyl top or a mesh top. 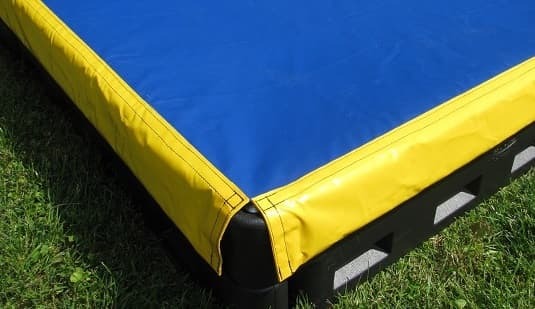 They are not only high-quality, made in the USA covers, but the edges are weighted down, which allows them to be placed over the sandbox firmly. Please click here for more information and pricing.